It’s never been easier for small businesses to establish themselves as a reputable business on the web. Leverage social media, search engines, and online reputation in the right way, and your mom and pop shop down the street can outrank the largest big box store in search results, word of mouth, and social influence. 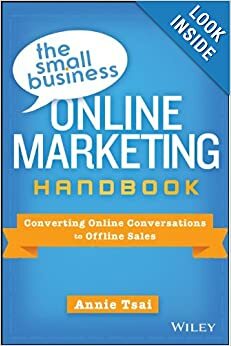 I spent the first half of 2013 writing The Small Business Online Marketing Handbook with our customers in mind – small business owners who were exceptional at delivering the goods or services they set out to deliver when they set up shop. What we at Demandforce have found time and time again is that these passionate and hard working people are so busy running their business that they are simply looking for the black and white onramp to owning their reputation online. The thing is, it’s not black and white. And while it doesn’t happen overnight, this book will help get you there faster. In this book, I focus on getting small business owners the foundational knowledge necessary to jump right into establishing their business’ online reputation so they can influence all those online browsers to take the leap of faith and walk give their business a shot. You can preview some pages on Amazon, and pre-order today. The book will be available on October 28.